The day is finally upon us. A Bluetooth receiver is now available for the NES. The Bluetooth-enabled adapter called the Retro Receiver has officially hit the market. The adapter was a joint creation by Analogue and 8Bitdo. 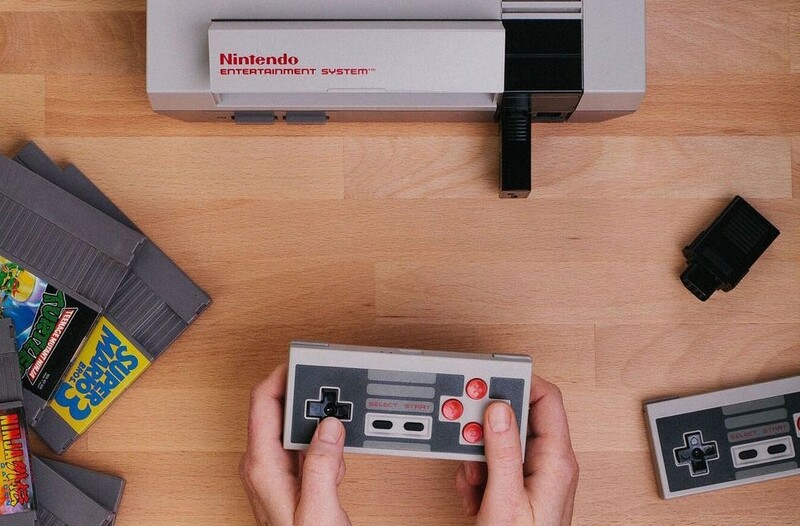 The dongle allows you to play your old school Nintendo with any Bluetooth controller. That opens door to a PS3/PS4 controller, Wiimote and Wii U Pro and any arcade stick that is Bluetooth capable. The dongle can also be used as a Bluetooth input device on a PC or Mac with a Micro-USB output that connects to a USB port. Microsoft's Xbox, Xbox 360 and Xbox One controllers, of course, are not compatible. I wonder what sort of input lag there is with this adapter. Especially with the input lag already present on modern TV's when using the NES.